Note: I gave a Sunday School lesson at CRBC last Lord's Day on "Building a Family Library" which included book notes on two recently published books: A Theology of the Family (NFIC, 2014) and The KJV Study Bible (Reformation Heritage, 2014). My purpose is simple today: I want to encourage you to build a family library, a collection of books that can serve as a resource for you and your family with regard to Biblical and spiritual matters. · Several copies of the Bible, including copies in various translations for personal study and comparison. · A copy of the Second London Baptist Confession (1689) and the Baptist Catechism (or Spurgeon’s Catechism). · A Bible concordance (a book which lists each word [if exhaustive] used in a particular Bible translation). Examples: Strong’s Concordance; Cruden’s Concordance. · A sound Bible dictionary. There are many on the market, but be careful to choose one that is both scholarly and which upholds a traditional Christian viewpoint. Examples: Holman Illustrated Bible Dictionary; Smith’s Bible Dictionary. · A good, traditional, one-volume commentary. I suggest two: Matthew Henry’s Commentary and Matthew Poole’s Commentary. 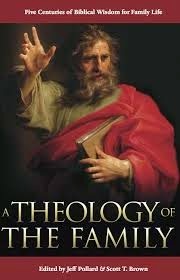 · A Systematic Theology: This is not so easy. I’d suggest Robert Reymond’s A New Systematic Theology or Loiuis Berkhof’s Systematic Theology. Wayne Grudem’s Systematic Theology is easy to read but one must be careful with several of his positions (like on continuationism). Another contemporary work to consider: A Puritan Theology: Doctrine for Life. Among older works: Calvin’s Institutes of the Christian Religion and John Gill’s A Complete Body of Doctrinal and Practical Divinity. · Good Christian biographies. These might include works like Spurgeon’s two-volume Autobiography. I also suggest you read any of the biographies produced by Iain Murray including his two volume biography of David Martyn Lloyd-Jones and his single volume on the life of Jonathan Edwards. This a good entry way to church history. · Devotional works. Every home should have a copy of Bunyan’s Pilgrim’s Progress (or the illustrated children’s version Dangerous Journey). For younger children I’d suggest the five volume paperback collection “Building on the Rock” series. · Books or digital? You can get most of these resources in digital format, but I’d suggest the value of the book format. It is a technology not dependent on electricity or batteries. Digital technology changes, but books stay the same. · Choose sound authors. Usually it is better to read the older men than newer men. Read those whose ideas have stood the test of time. · Choose books from proved and solid publishers rather than many popular, evangelical publishers. These would include: Banner of Truth, Reformation Heritage Publishers, Solid Ground Books, Sprinkle Publications. I’d also suggest looking at abebooks.com for cheaper titles. · Consider giving good books as gifts on special occasions like Christmas and birthdays. This is a handsome, sturdy volume co-edited by Jeff Pollard and Scott Brown. It is actually a collection of articles, largely written by solid men from the past on various topics with the articles gleaned from The Free Grace Broadcaster, a publication of Chapel Library. The first study Bible (a Bible with interpretive notes includes alongside the text of Scripture) was the Geneva Bible (1560). In modern times, there has been a proliferation of study Bibles aimed at various niches. 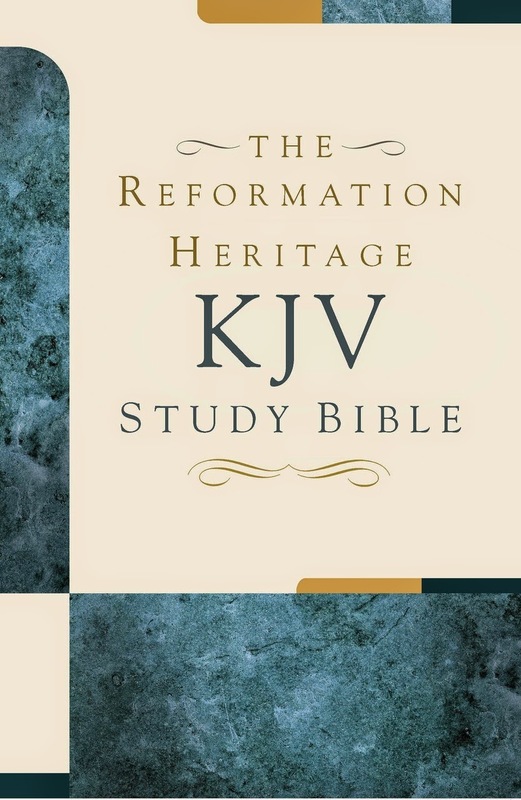 This KJV Study Bible is a welcomed resource for two reasons: (1) It makes use of the venerable KJV; (2) It is written from a Reformed theological perspective. 1. It includes introductions to each section of the Bible (OT: Law, Historical books, etc. ; NT: Gospels, Acts, Paul’s writings, etc.) as well as each book, and these provide a good summary of traditional Christian views on authorship, history, and dating. It is grounded more in traditional Christian interpretation rather than in modern skeptical scholarship. 2. I like the format, including the way it has the notes below the text of Scripture. In those notes it provides paragraph headings, to help you understand the content and narrative flow, but these are not imposed within the printing of the text itself. This helps avoid confusion. 3. The notes include “Thoughts for Personal/Family Worship” for each chapter. This is ideal for use in personal and family devotions. This Bible is for experiential use (see p. xi). 4. There is a separate “Study Helps” section that is set apart from the text of the Bible as an appendix rather than having copious amounts of material interspersed within the text. The Study Helps include a series of sound, practical articles that will prove very helpful for person devotion and study. This is a great tool for discipleship. Review titles and look in particular at the article, “Using Leisure Time Well” (p. 1935). 5. It includes a century by century survey of church history written by Sinclair Ferguson (p. 1943). Here is a mini-Church History. 6. It includes basic creeds and confessions from the ancient Christian and Reformed tradition (p. 1965). Hopefully, there will be a Baptist edition at some point. 7. It includes other very helpful resources, like: Robert Murray M’Cheyne’s Bible Reading Plan (p. 2095), a helpful table for Biblical weights and measures (p. 2107), and a select Bible concordance (p. 2111). Conclusion: In this one volume you have several of the things we noted above (concordance, dictionary, systematic theology, church history, devotional resources). So, if you want to begin building a library I would suggest the KJV Study Bible as a good place to start your foundation.